Looking for a Seattle chimney sweep company that delivers reliable service at an affordable price? Since 1978, The Chimney Specialists, Inc. have been offering chimney sweeps for homes and businesses from Tacoma to Seattle and the surrounding area. 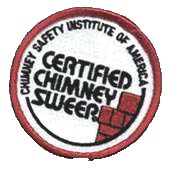 Our chimney cleaning and inspections go hand in hand as our Chimney Safety Institute of America Certified Chimney Sweeps always provide an 18-point inspection with all our chimney cleanings. When our CSIA certified chimney sweeps come to your home or multi family property for a chimney cleaning (or additional services), they do more than just clean your chimney. They will explain the process and are qualified to offer the following comprehensive services. Here’s what you can expect during your chimney cleaning. We greet our customers and enter the home to lay our drop cloths, shut the damper and inspect the firebox. Go to the roof and inspect from the roofline up (top half of the chimney) and sweep it down. Go back inside with a vacuum and a throat brush. Open the damper and brush out the throat and the smoke shelf, the damper housing and fireplace walls and firebox. After the inspection and cleaning are complete, we pick up our equipment, write out our inspection report and go over the details of the report with our customers. The chimney inspection and sweep typically takes about 35 minutes though it can take longer if there is an insert or the chimney is exceptionally dirty. Why do you need a chimney cleaning? Many homeowners think their chimneys only need to be cleaned and inspected if they burn wood but this is not true as the National Fire Protection Association (NFPA) recommends having a professional chimney cleaner inspect, service and clean your chimney and fireplace each year to keep a safe and efficient system. Having your chimney swept on an annual basis offers the following benefits. We want to help protect your family and home by maintaining your chimney and dryer vent systems and ensure these systems are running safely and more efficiently. If you’re worried about a mess-don’t be! Our technician’s value and respect our customers and their property, and are equipped to provide our quality service in the cleanest possible work space. Yes, in order to perform a thorough chimney inspection and sweep, our technician needs interior access to the firebox. As part of our quality service, we like to discuss the process and any recommended repairs with our clients while making ourselves available to answer any of your questions. Pricing for chimney inspection and sweep vary upon the service area and the type of chimney system in your home, such as whether you have an open fireplace, free-standing wood stove, lined insert or unlined insert. If you have an oil furnace in your home, you need to have your chimney cleaned and inspected on a yearly basis as oil fuel produces a by-product called oil soot. The soot will build up in your chimney and can deteriorate the liner over time and eventually, become a fire hazard. Give us a call to prevent these problems and keep your home safe.